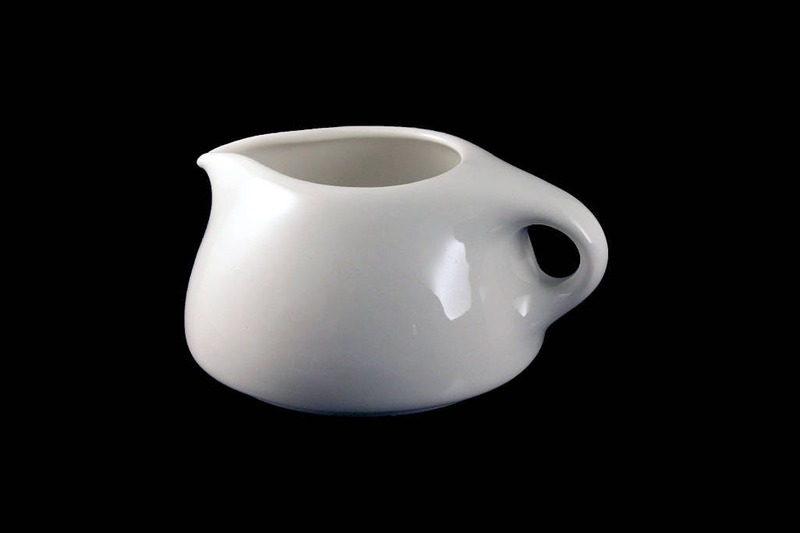 A wonderful creamer from Russel Wright China by Iroquois. The pattern is casual white and has a unique shape. 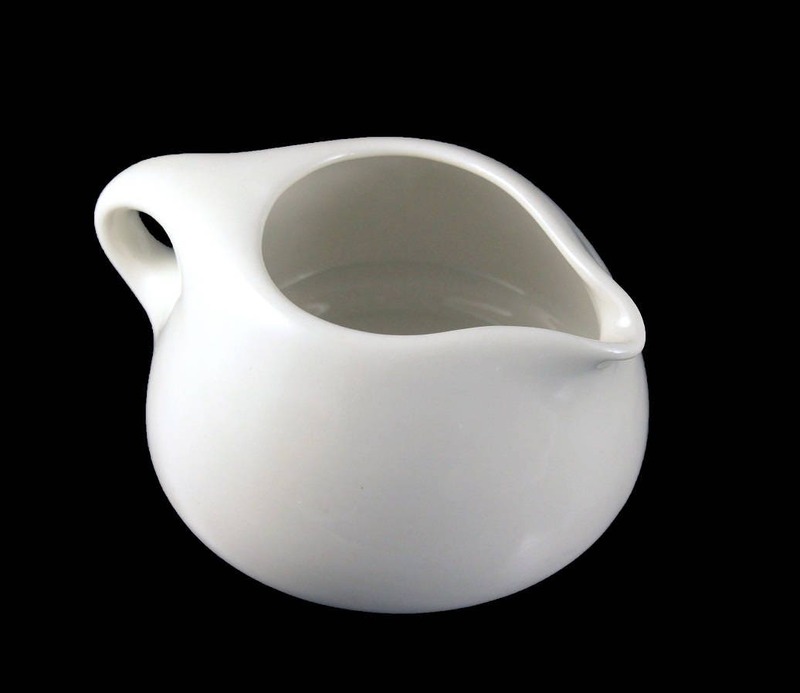 This creamer would be perfect for sauces, gravies, or syrups. It would make a wonderful statement on a buffet, sideboard, or dinner table. 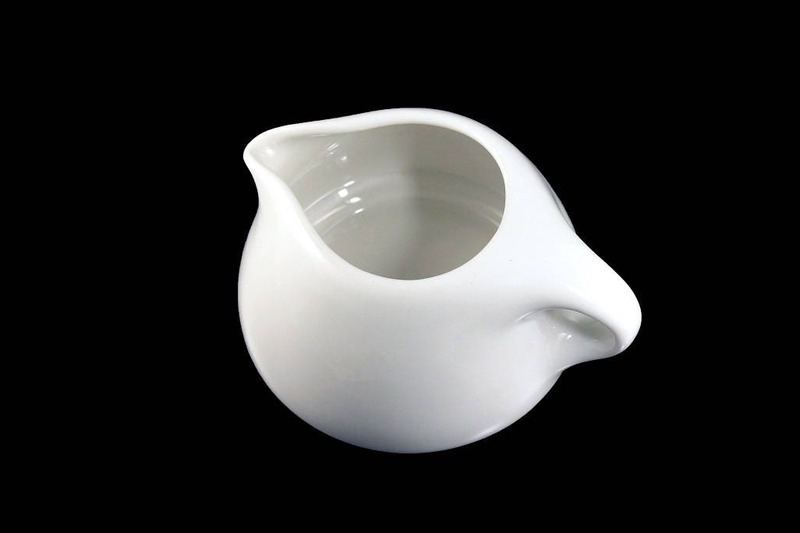 It could even be used as a small vase. 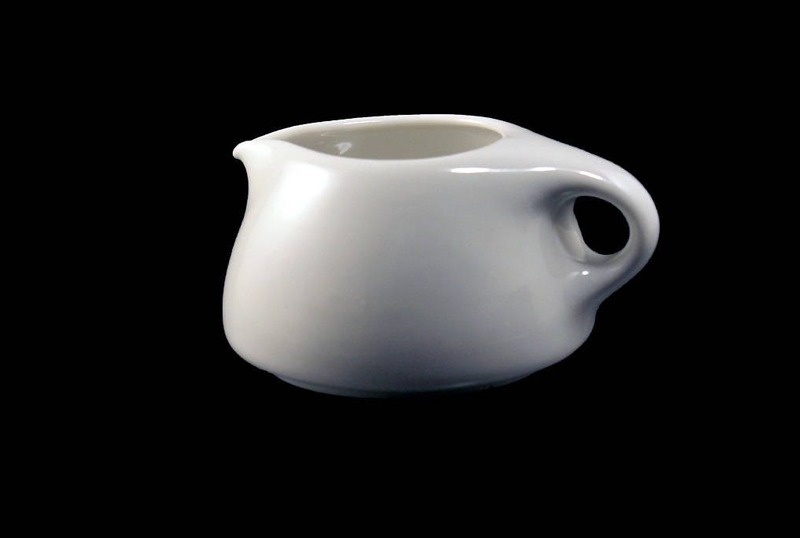 Iroquois China Company was founded in 1905 in Solvay, New York. 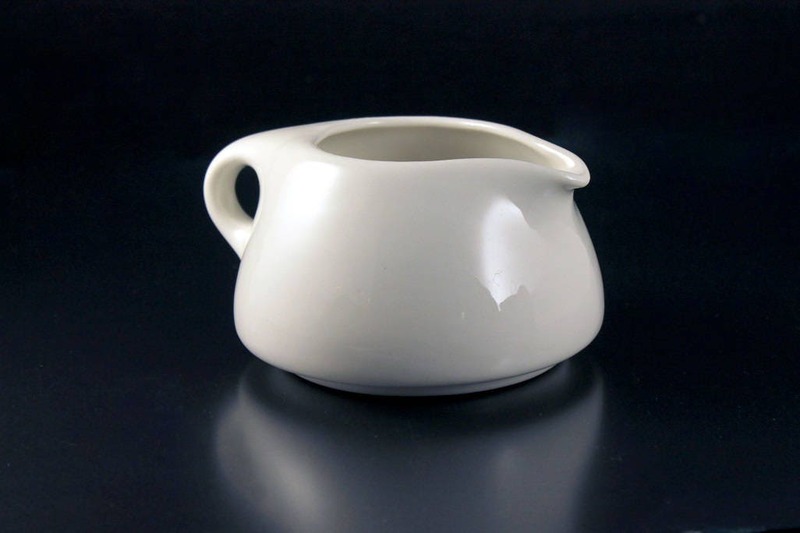 During the early years of china production, Iroquois focused on restaurant ware. 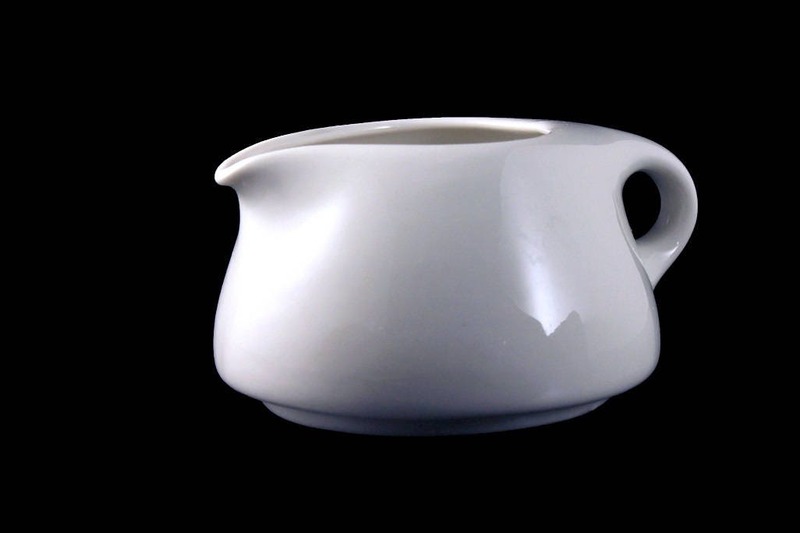 The company made only commercial china until 1946 when their first dinnerware lines were introduced. 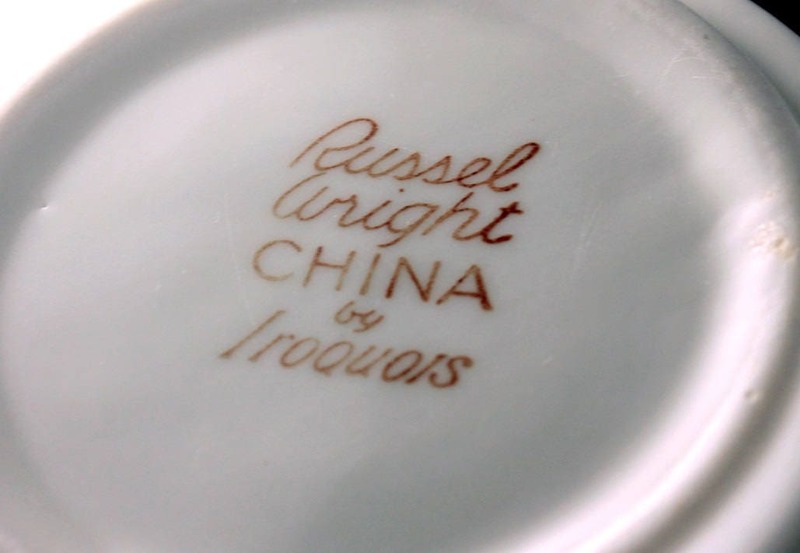 An industrial engineer, Russel Wright (1904–1976), created a line of dinnerware for Iroquois China Company called Casual. It was considered "Mid-Century Modern" in style and had a Round coupe shape. It was produced between 1947 and 1967 in an assortment of solid colors. The chosen Wright colors for the Casual line included cantaloupe, ice blue, pink sherbet, seafoam blue, brick red, sugar white, lemon yellow, avocado yellow, ripe apricot, charcoal, lettuce green, forest green, parsley green and chartreuse yellow-green. 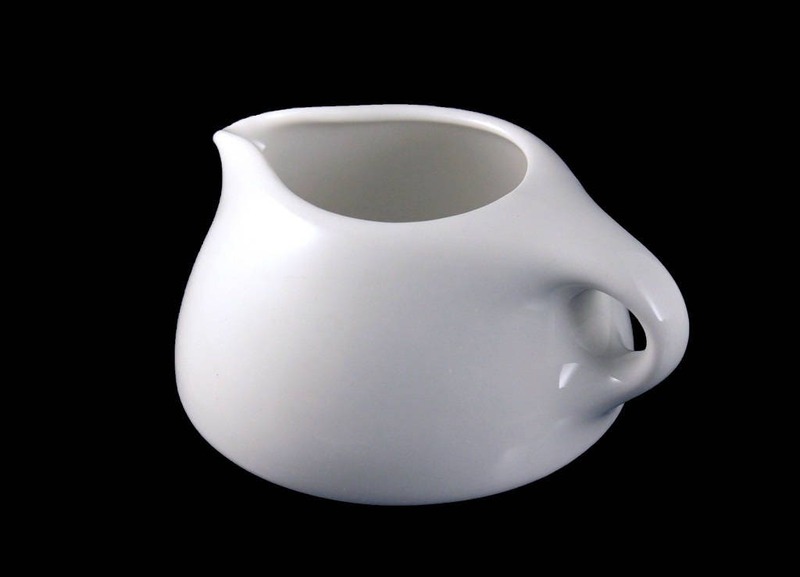 This creamer is in excellent condition. It has no chips, cracks, or crazing.